Imagine there is a lottery, with a single prize of 1 million dollars. There are only 100 tickets to this lottery, and, for some unexplained reason, 99 of the tickets have been given to you. Lucky you! The remaining ticket has been given to someone else, let's call him Jack. The lottery will be drawn tomorrow. The winner—you or Jack—will walk away with 1 million dollars. As luck would have it, you bump into Jack. The idea occurs to you that you could buy Jack's ticket and go from a 99% chance of winning to a guaranteed win. So, how much would you be willing to spend on Jack's ticket? And how much would it take for Jack to part with his ticket? Standard probability tells us that Jack's ticket has a face value of 1 percent of 1 million dollars, or $10,000. So if Jack is 'rational' he should be willing to sell it for any value over $10,000. And you should be willing to purchase it for anything less than $10,000. Hence it's unlikely that a trade will occur, as there is no price that is pleasing to both of you. This isn't a new question. It's a variation on 'the Allais paradox' and two groups of people, psychologists and 'behavioural economists', have been investigating this area practically non-stop for the last sixty years. Jack is unlikely to part with his ticket for less than 5.5 times its face value. He values it at around $55,000. Optimism in Jack's situation is very high! Given such an irrational opinion on Jack's part, you should now consider it very unlikely that a trade will take place. But we haven't looked at the remaining part of the question. How much would you be willing to spend to go from a 99% to 100% chance of winning that million dollars? You're likely to spend up to 8.8 times the face value of the ticket: up to $88,000. Irrational pessimism on your part is far stronger than Jack's irrational optimism! So there is a chance that a deal will be struck, possibly in the range from $55,000 to $88,000, far higher than the rational price of $10,000. 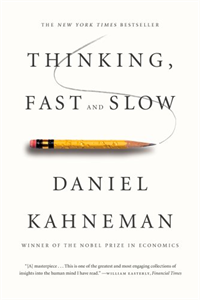 This and other disquieting aspects of human behaviour are covered in great detail in the book 'Thinking, Fast and Slow' written by Nobel prize winning psychologist, Daniel Kahneman. My wife received a free copy, which she gave to me. Now, thanks to the endowment effect, I would be unwilling to part with it for less than 2.5 times the market price.